The field services industry is advancing at a rapid pace. Field force managers want to collect and utilize all the information they can possibly get as their employees work out in the field. With ensuring peak customer satisfaction being the endgame, proper field force management is the way to accomplish it. Enter field service management software. Just as field services are changing, so too is field force software. With each passing day, it seems we’re all becoming more mobile. From our personal lives to our professional lives, we can do almost everything we need to do through the use of our mobile devices. And now that’s true for field force management, too. Your workforce is already mobile; they’re field workers after all. But using mobile-friendly field force management software helps you create a truly mobile workforce. According to IBM, your mobile field force management solution should specifically be able to handle work order management and customer communication. Mobile field force management streamlines work order management. 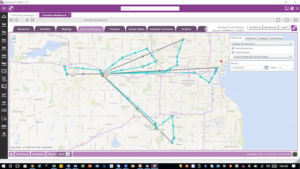 Instead of getting a call from an employee telling them where to go next, your field workers can check a mobile app to find their next assignment. This not only saves time, but it also eliminates the need for dispatchers to manually call your field workers. Rather than having to haul around multiple devices, field workers are now able to access all the information they will need through the use of one mobile device. Through this one device, data is stored and can be accessed by others on secure cloud servers. Another change to field force management tools is that they’re enabling easier communication with customers. As your field workers finish an assignment, or as they’re delayed on one, they can send an alert to the customer to let them know that they’re on their way, or that they’ll be late. Customers value transparency, and they appreciate it when your workers are able to give them accurate, real-time information. In particular, they appreciate it when your workforce can provide accurate arrival times. A byproduct of becoming more mobile is the ability to collect more real-time information than ever before. Whether this information is automatically collected or manually input, field force management systems can gather all types of data instantly. We already referenced one example of this: as your field workers finish a job, they can input that information into the system. This one piece of data entry can reveal all types of information, such as the length the job took to complete and provide an estimated time of completion for future assignments. Although this process includes some manual input, the information is still collected in real time. Today’s field force management apps are becoming smarter, too. They’re able to automate many of the more complicated tasks facing field force managers, using what’s called field force automation, or FFA. These smarter systems are possible thanks to the real-time data they gather, but what makes them smart is what they do with that information. Context-based assigning is possibly the most important advancement in field force management. This involves the process of automatically dispatching your workforce to each new assignment. It doesn’t do so randomly, however; By using location tracking, it assigns jobs based on where your workers are, the skill sets of each of your workers, the status of their current assignment and other factors. Many programs allow users to see where their technicians are in real time by using GPS mapping. Not only can field force management software adapt in real time, but they can also help your business plan ahead. Many systems have started to add predictive analytics capabilities through the use of artificial intelligence (AI). With predictive analytics in hand, you can optimize field force scheduling. And with AI permeating so much of today’s technology, it isn’t too far away from becoming a staple of field force management as well. Thanks to the Internet of Things (IoT), everything from your equipment to your vehicles to devices like wearable technology can collect data for your field force management software. We’ll dive deeper into wearable technology in a little bit, but for now, let’s look closer at IoT. 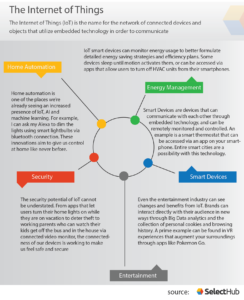 The Internet of Things refers to the interconnectivity of all types of devices around the world and the people that use them. These technological devices include cell phones, washing machines, watches and even large manufacturing equipment. IoT allows for data to be shared between multiple different devices or facilities, rather than just from two identical devices. It is estimated that there will be four times more devices connected than humans by the year 2020. In the years to come, IoT will become very big in regards to field service management and should be a cornerstone of these businesses within five to 10 years. In reference to what IoT can do for maintenance software, the technology can monitor devices, detect problems as they happen and notify you whether the device needs to be fixed or replaced. Because IoT collets, compares and shares data in real-time, customer service can be improved through communication and providing updates such as delivery status and delay notifications. As more and more businesses are embracing a mobile field force, the use of wearable technology has become increasingly popular. Some of the most common include smartwatches, smart clothing and head-mounted displays, or smart glasses, such as Oculus Rift. Due to wearable technology’s ability to guide less experienced technicians through a project, an expert is not necessarily needed, at least not in the field. 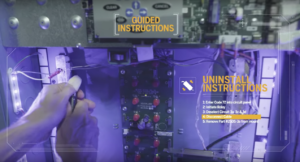 Wearables can provide a technician with step-by-step instructions for specific tasks, as well as allow for a real-time video call with an expert back at the office. What is the difference between VR and AR? Essentially, virtual reality (VR) places an individual in a completely different reality whereas augmented reality (AR) enhances what you’re seeing in the same environment you’re already in. Virtual and augmented reality give technicians tools that are unmatched. 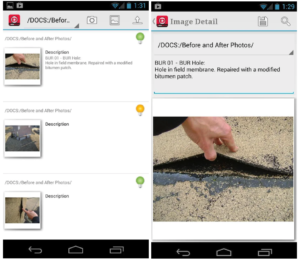 For example, an employee in the field will be able to use a technician app to point a smartphone at a machine and get feedback regarding repair instructions, including highlighting what needs to be fixed overtop the original image. The use of a specific headset or smart glasses can provide walkthroughs of different scenarios to help with training, as well as provide communication between a technician in the field and their supervisor. This allows for a single supervisor to oversee numerous projects being worked on by less skilled or experienced technicians without physically being on the site. Technicians can wear specific headsets that allow instructions to be displayed overtop what they are looking at, shown in this demo by SAP. Virtual and augmented reality are rewriting how businesses go about their normal processes while making them more productive at the same time. Heading toward a projected market value anywhere from tens of billions to over 200 billion U.S. dollars by 2023, VR/AR will be very heavily experimented with in regards to new field force management system strategies. Like all systems, integration is important to field force management. This is nothing new. What’s changing, however, is which systems are being integrated with field force management. Or rather, which extra systems are integrating with field force management. Enterprise resource planning (ERP) integration is already common, in order to centralize a business’s various software. The same is true of business intelligence (BI) integration, which helps evaluate your workforce productivity and optimize your route planning. But what about integrating with a client relationship management (CRM) solution? This is one of the best strategies for improving your customer service. By integrating the two, your field workers have the complete interaction history of your customers, so they can see what services they’ve used and know how best to interact with each customer.  Additionally, your customer service reps can access the entire service history of each customer. When a customer calls and has a question related to their service, the rep isn’t left in the dark; they can just look it up and give a complete, accurate answer. New and better field force solutions are constantly evolving and improving to meet our needs. As a business, it’s important to choose software that is both flexible and scalable. You and your software both need to be prepared for the changes yet to come. When adopting a field force management solution (or any software, for that matter), it’s important to train the employees who will use it. As these types of management are changing, so is the way we do our jobs. As software company Onforce puts it, “Because technology can quickly become outdated, tech workers often need more training and specialization. As such, your staff will have to redefine their roles as service techs over time in order to continue to be effective at completing projects.” As new features are added to an interface, users can become confused and frustrated, so it is important to provide continuous training so that your field workers are able to get the most out of your software. Field force management is changing to involve more automation of real-time data with the help of IoT and wearable technology. Although some of these trends may be different, they all work toward the same goal of increasing customer service and productivity. Does your business use software to manage your field force? What are some of the trends you’ve noticed? Let us know in the comments!